Some time ago, culture and technology experts predicted a major shift in the way Americans use and access the web. Asia was far ahead of us in the trend away from deskbound machines and towards increasing use of handheld devices and mobile phones. That trend started long before the iPhone or the iPad but it wasn’t long before more Asians connected with a mobile device rather than with a desktop computer. With faster broadband networks, iPhones, iPads and Android, North America has finally caught up with Asia. Around 25% of U.S. internet users are now mobile only. And research shows that American consumers prefer mobile devices for banking, travel, shopping, local information, news, video, sports and blogs. I admit that it took some time for me to catch up, but…it did happen. The great majority of my web browsing now happens on either my iPhone or my 7″ Android tablet. And just as the statistics show for the majority of U.S. consumers, I prefer to bank, shop, read news, watch video and access blogs on my mobile devices. I pay for coffee with my Starbucks app. I deposit checks at Bank of America by scanning them with my tablet. I queue up my Amazon shopping cart on my iPhone. And almost everything important is stored on the cloud so I can access it via Evernote or Sugarsync on any mobile device (or desktop computer). So what’s ahead? First, companies and ministries need to optimize their web presence for mobile devices. That means developing apps for iPhone, iPad and Android and it means optimizing web sites for tablets and phones. By 2015, mobile web surfing is estimated to overtake desktop web surfing. Companies large and small cannot afford to be left behind, but 79% of large online retailers still don’t have a mobile optimized web site. 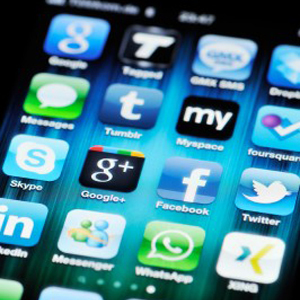 Second, businesses and organizations need a mobile social media strategy. With 81% of mobile users browsing the web for social networking, it should be a key part of any mobile communications and marketing plan. Identify ways to engage core constituencies with your message and keep them informed about your products or ministries and the stories behind them. Going mobile…I finally did it! What about you? Read more about social media news, strategy and actions plans at SocialMediaToday and Prepare1.